Pictured is Fairview Memorial Park located at 5035 Columbus Pike, Lewis Center. A deadline has been set for motions in Delaware County Common Pleas Court in the ongoing legal dispute regarding the fate of Fairview Memorial Park. Delaware County Common Pleas Judge David M. Gormley filed a scheduling entry on Sept. 18 informing the parties in the legal dispute over Fairview Memorial Park, located at 5035 Columbus Pike in Lewis Center, that the deadline for motions filed against the cemetery is Oct. 26. The ongoing battle over Fairview is between A.C. Strip, a Columbus attorney who was appointed to be the receiver for the cemetery in May 2017 and has been trying to find a buyer for the cemetery ever since, and Berlin Township, who has been seeking control of the cemetery since April of this year. 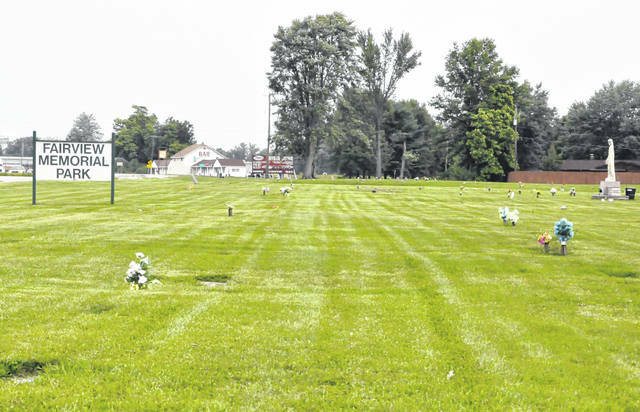 In July, Berlin Township filed a motion asking that Gormley give the title of the cemetery to the township and prevent a sale that Strip was organizing. The motion states that Strip’s motion to sell an 8.32-acre parcel of the property to the Islamic Society of Central Ohio for $130,000 must be denied because the township has filed a cross-claim in court. The township later argued that the receiver’s time, efforts, and resources would not have been expended if the cemetery had been transferred to them last fall. In his scheduling entry, Gormley wrote that Berlin Township should file any remaining motions on cross-claim by Nov. 26, 2018. No motions have been filed since Gormley’s scheduling entry. The previous owners of the cemetery, Theodore and Arminda Martin, are currently serving prison terms after pleading guilty to multiple counts of theft for selling items at the cemetery but never delivering or ordering them.